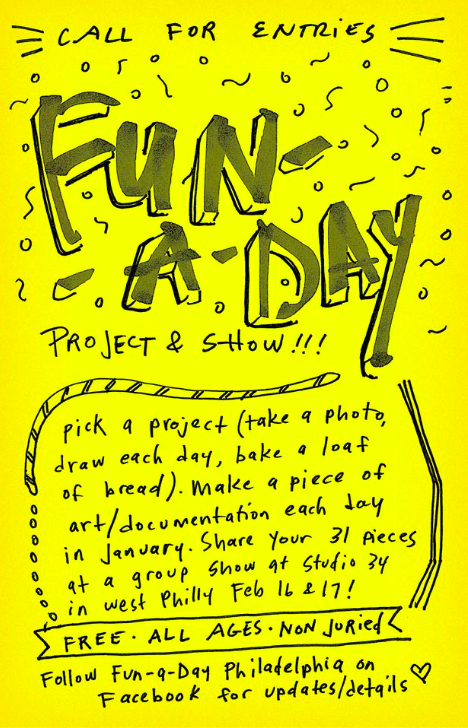 I will be showing my project at the group show, which is organized to encourage people to make one thing each day during the month of January. I've participated in Fun-a-Day Philadelphia for a few years now and it's always rewarding and, yeah, fun. This year I'm doing a writing project that is something like advice or fortunes or tiny poems. Yes.